During the overnight stay in the mountain temple, witness the routines of the monks and dine on typical fare. Explore the temples and moss covered Oku-no-in cemetery in the afternoon. In the evening, savour the shojin-ryori vegetarian cuisine, and relax in a yukata or kimono. Early morning at the temple offers the chance to observe the monks praying, before a vegetarian breakfast. Breathe the fresh mountain air and soak in the beautiful surroundings. Oku-no-in is the most sacred site in Koyasan and the location of the mausoleum for Kobo Daishi (also known as Kukai), the founder of Shingon Buddhism. The area is surrounded by a massive cemetery, the largest in Japan. With over 200,000 tombstones lining the almost 2km path to Kobo Daishi's mausoleum, there is plenty of area to explore. Be sure to see Torodo Hall (Hall of Lamps), the main place of worship, where more than 10,000 lanterns are kept burning day and night. Take a trip to Miyajima Island, famed as one of Japan's most scenic spots, with a free afternoon to explore. See the famous floating Torii Gate, set out in the bay, which glows extraordinarily at sunset. The island is dotted with shrines and temples, populated by deer and monkeys, and traversed with hiking trails for those who want to get some exercise. There are also lanes full of souvenirs and tasty treats. Visit Miyajima at your own pace, and have the option to hike up to the peak of the island, Mt Misen, to see spectacular views of the surrounding islands. Set out for the summit of Mt. Misen, Miyajima’s highest peak at 500m (1,640 ft) above sea level. Opt to hike one of three trails through the forest and keep an eye out for wild deer or catch a ride on the ropeway and walk the remaining distance to the top. Take in great views of the Seto Inland Sea and on a clear day see as far as the city of Hiroshima. Walk through Gion, Kyoto's most famous geisha district. Visit shops, restaurants and ochaya (teahouses), where geiko (Kyoto dialect for geisha) and maiko (geiko apprentices) entertain. 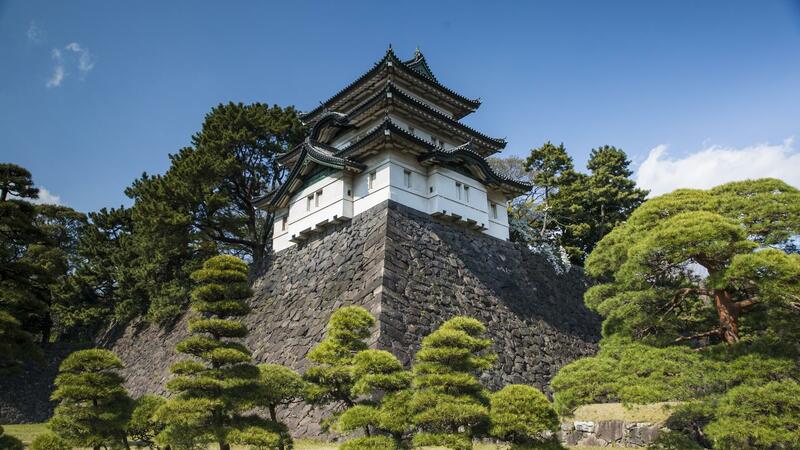 Continue exploring Japan's historic capital with some free time. This stone path through the northern part of Kyoto's Higashiyama district follows a canal lined by hundreds of cherry trees. These trees come to life during a period known as "Hanami", generally from the end of March to early May. Their iconic pink blossoms are one of the most famous symbols of Japan. The Ryōan-ji garden is one of the best examples of kare-sansui, or dry landscape, a type of Zen garden. Fifteen large rocks are placed within a sea of white pebbles raked into linear patterns to facilitate meditation. Stand on the platform to get the best view from above. Stroll the grounds around the Ryoan-ji Temple and along the Kyoyo-chi pond. Hop aboard a passenger boat to cruise the waters of Lake Ashinoko. If you are lucky, on a clear day you can capture a view of Mt Fuji. The lake was formed from the caldera of Mt Hakone following its eruption 3000 years ago. Sit back, relax and enjoy. As Japan's most popular city park, Ueno is known for its museums and cherry blossoms. Stroll the pathways, admire the thousands of trees, including 1,200 cherry trees, look for lotus on the pond and visit the temples and museums. 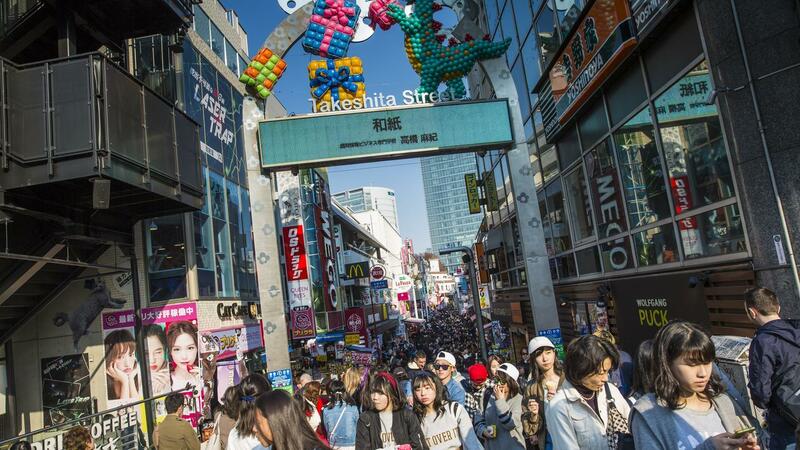 The Harajuku district is known as the centre of Japanese youth culture and fashion. Here, find dozens of shopping and dining options including independent boutiques and larger international luxury stores. The Ginza district is Tokyo’s equivalent of Fifth Avenue in New York. Window shop at Chanel, Dior, Gucci and Louis Vuitton, then check out the latest electronics at the Sony showroom or Apple store. Visit the Wako department store with its historic clock tower, housed in a building that dates back to 1894. If you are there on a weekend, head to Ginza’s main street where pedestrians rule without Tokyo’s traffic. 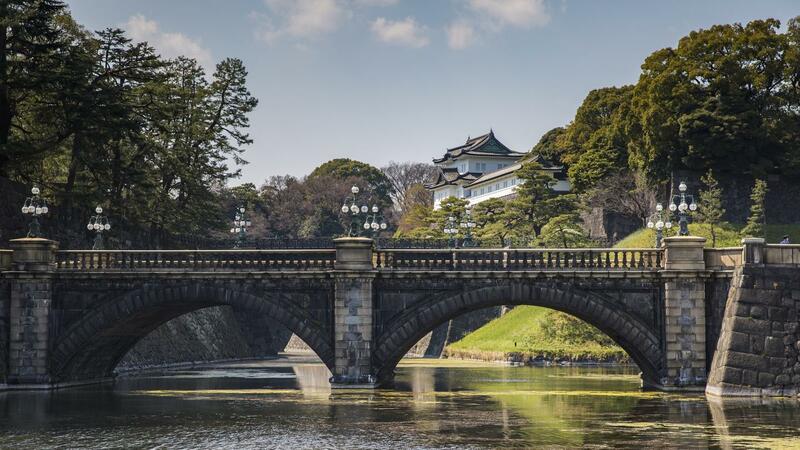 The Imperial Palace in Tokyo’s city centre is home to Japan’s Emperor and Empress. It is surrounded by a moat and three gardens, all open to the public. Stroll throughout the grounds, admire the azaleas and hydrangeas (when in season), discover the original stone wall that surrounded the palace back in 17th to 19th centuries during the days when samurai warriors defended the ruler. Visit nearby Sannomaru-Shozo-kan museum and see exquisite kimonos and Japanese paintings. Local Living: Overnight in Mount Koya Temple, Kōyasan. 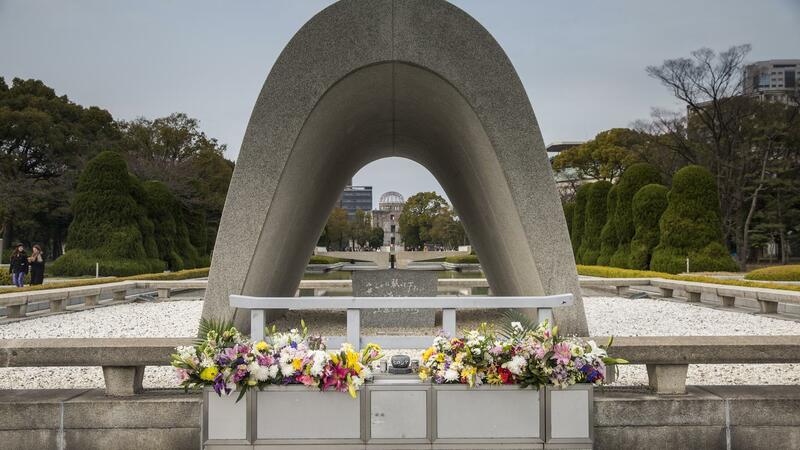 Hiroshima Peace Park and Museum visit. Miyajima excursion with floating torii gate visit. Nijo Castle and gardens visit (Kyoto). Gion walk. 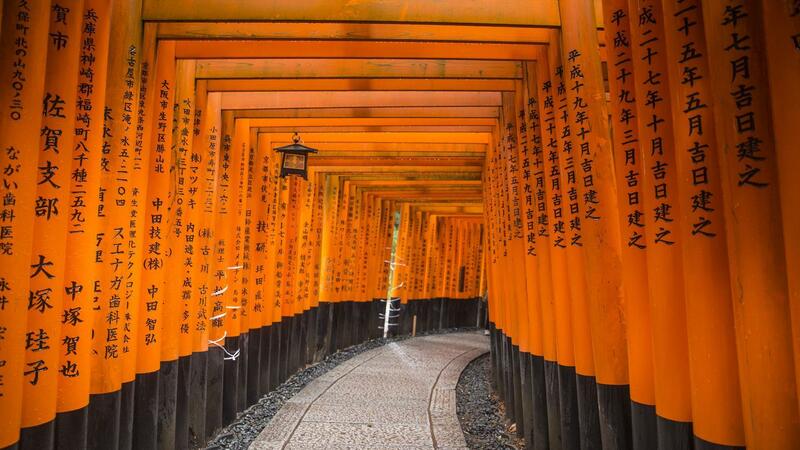 Fushimi Inari shrine visit. Lake Ashino-ko boat ride (Hakone). Traditional ryokan stay with kaiseki meal. Japan Rail (JR) pass (7 days). All transport between destinations and to/from included activities. Take in views of Mt Fuji, stay in temple lodging and a traditional ryokan, gaze at the famous floating torii gate in Miyajima, explore Kyoto's Nijo Castle. 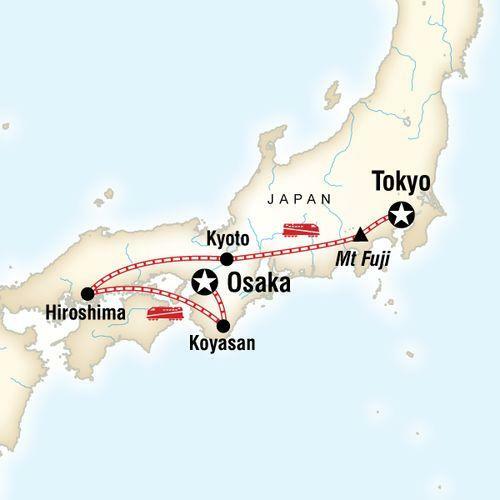 This tour combines with other G Adventures tours. As such, some travel companions on your tour may have previously been travelling together with G Adventures, prior to Day 1 of your tour. 1. Follow the sign "Railways" to the second floor, exit the terminal building, then cross the pedestrian bridge outside to walk into Kansai Airport Station. 2. Go to Nankai Railways counters #1-3 under the orange sign "Ltd. Exp. Rapi:t Reservation Tickets and General Tickets" on your left. 3. Purchase a ticket for the next Rapi:t (pronounced 'rapeet') or Airport Express to Namba. The ticket costs 1390Yen for Rap:t (44min) or 890Yen for Airport Express (38min). 4. Go through a gate under the orange sign, which says "Nankai" by inserting the ticket into the gate. Retrieve the ticket, which will be returned to you at the other side of the gate. You will need it when leaving the Railway.